The longest wait in my life is was the last 8 years. I felt the burden of being childless every passing moment. There were days I would just imagine having a child and telling her stories. Sometimes, I just wanted to live in my own mind instead of reality. When I finally became pregnant, I felt like I was still dreaming. I remember that day when the doctors said that I was carrying twins! Double the joy! I thanked the whole universe, finally, my prayers and tears were answered. My husband and I spent day and night sharing our dreams of bringing up our angels. I can write a book on all the plans I had for my children. I know I couldn't give them all that they asked for, but I was sure that I could always give them happiness and unconditional love. My husband started working extra hours to save money. But during the eight-month, I got a sudden pain. I realized I was in labour. All I could think about was my babies' health. I was rushed to the hospital and an immediate C section was done. As soon as my twins arrived, they were taken to the ICU. 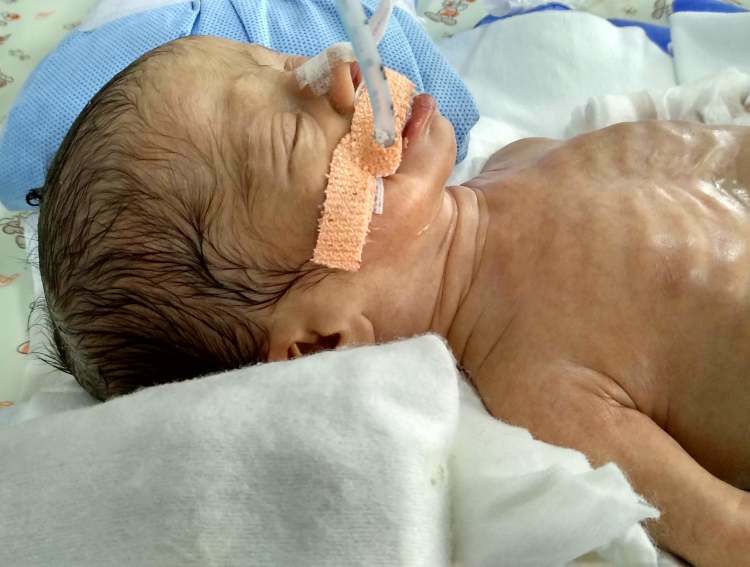 They suffered from the complications of premature birth. 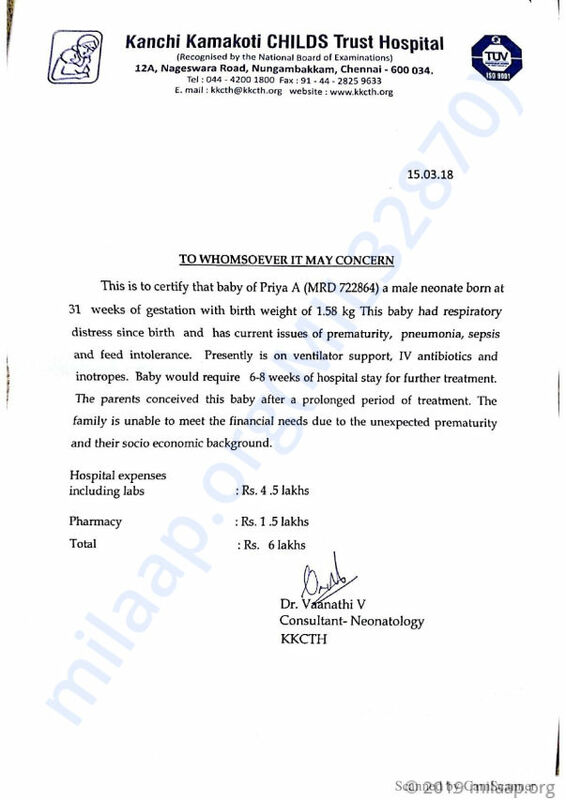 My twins weighed only 1.65 kg, 1.58 kg respectively. I had unbearable pain and I couldn't get up from the bed. I was allowed to see the baby only after two days. I can't describe how I felt in those two days. So many thoughts were rushing through my mind. I was longing to hold them in my hands. I was devasted when I saw them fitted with tubes and struggling to breathe. Did I wait all these years to see my babies in this condition? What did I do to deserve this? They are too small to even hold. It has been hardly few days since they arrived here and they are already fighting sepsis and pneumonia. 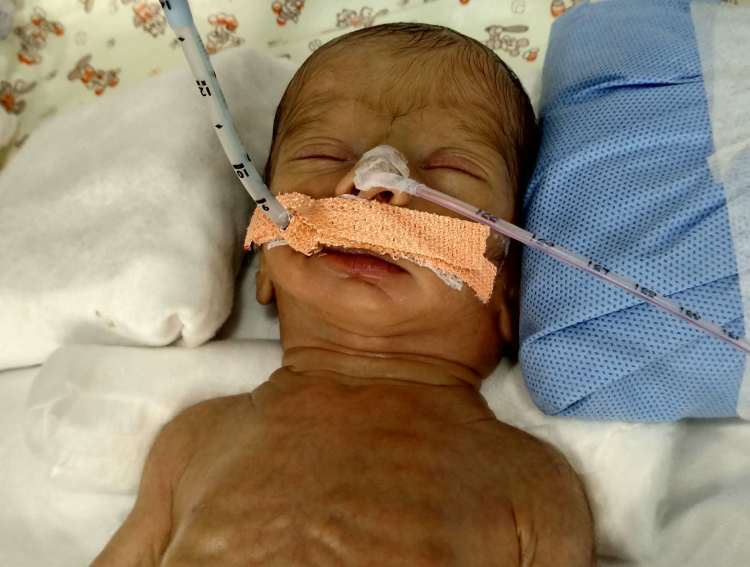 They are fed through tubes and need to be in ICU until they recover. I believed that I will start living in reality with my children when they came. I can't bear to go back to loving them in my dreams. I can't lose them at any cost. I live only for them. I can't imagine going back home without them. That emptiness scares me. My husband is a daily wage worker. He earns Rs 300-400 per day. We have sold everything we had with us. There is nothing left and we haven't paid our bills yet. Nothing can be worse than losing my twins due to lack of money. My stitches from the delivery aren't removed yet, I'm still in the hospital. After they discharge me my husband and I will sleep in the verandah of the hospital. We can't afford a room. We are willing to do anything to save my babies. They are my life. I need them. 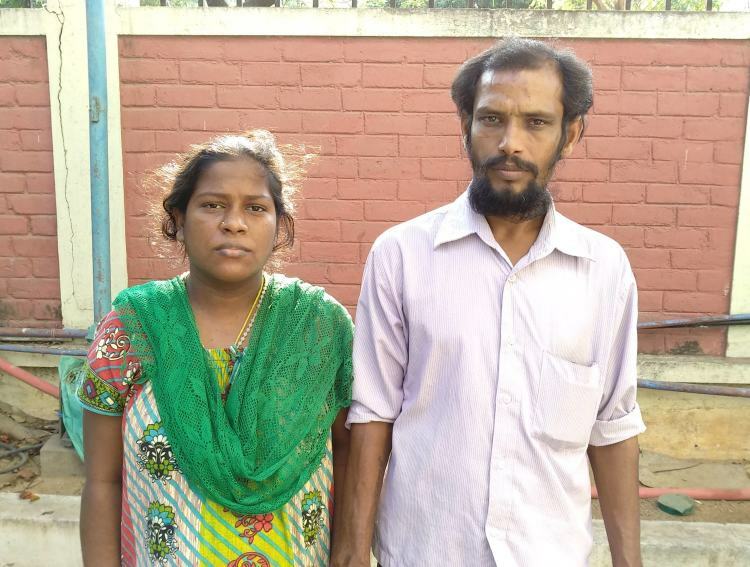 Treatment requires Rs 11 lakhs for both of them. What can we do? Even if we work the whole year we won't be able to collect enough to save them! There is no one we know from whom we can borrow so much. I need your support to save my babies. They have a good chance of recovery. Your support can make it possible to take my babies back home! Thank you for the love and support. This is to inform you that the baby has undergone the operation and has recovered well. 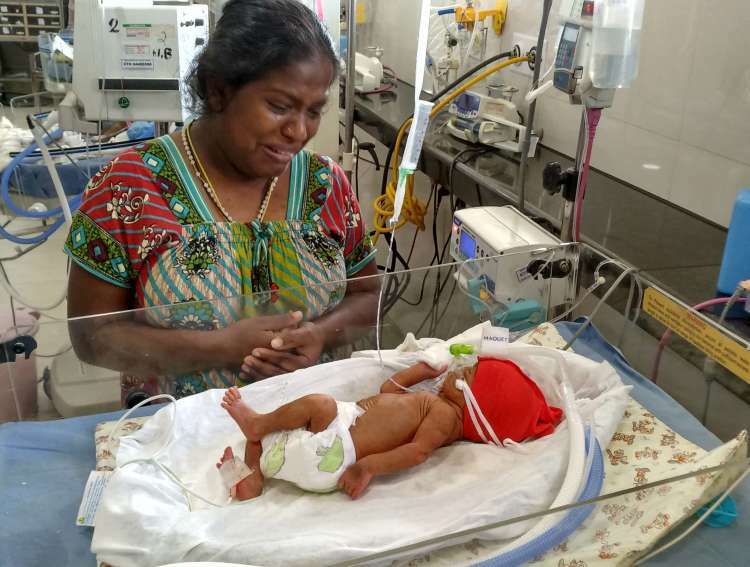 The baby is currently at home and doing better, the family has to visit the hospital for regular follow-ups so that doctors can track the progress of the baby's health. Thank you once again for the love and support. It would have not been possible without your generous contributions. 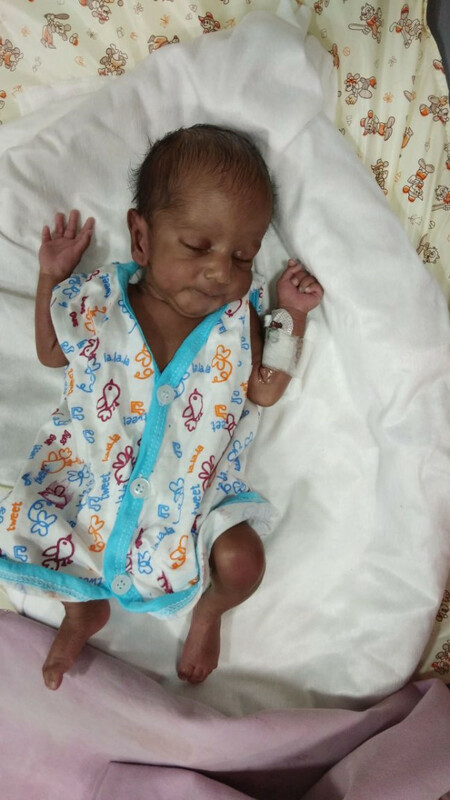 Thank you for the wonderful support that you have shown towards the babies. I have some news to share with you today. One of my babies passed away on 3rd of April. He developed a few complications and infections. The doctors were administering him treatment for the same. 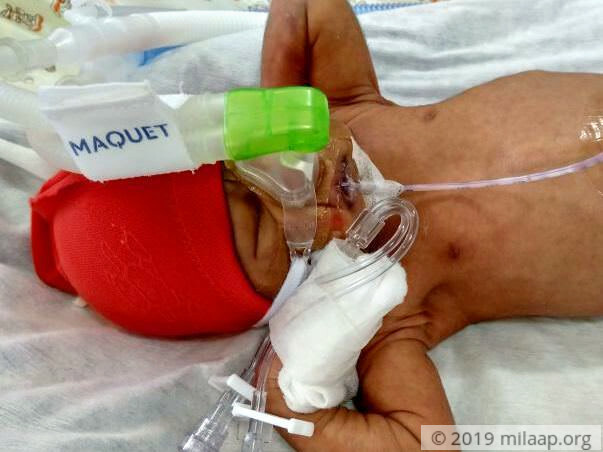 He fought really hard but his small little body could not take the stress any more. The other baby is doing well and is achieving all the milestones. Based on his health, he was discharged from the hospital. He has some bleeding in his eye and the doctors have suggested visiting an ophthalmologist for a better diagnosis. They have suggested a laser operation for him. A few tests have been scheduled for him today and based on the reports they will be suggesting the future course of action. If all the reports come as planned then he will be undergoing the procedure on Thursday, 24th May. Thank you all once again for the wonderful support. Please do pray for them. Will keep you posted. 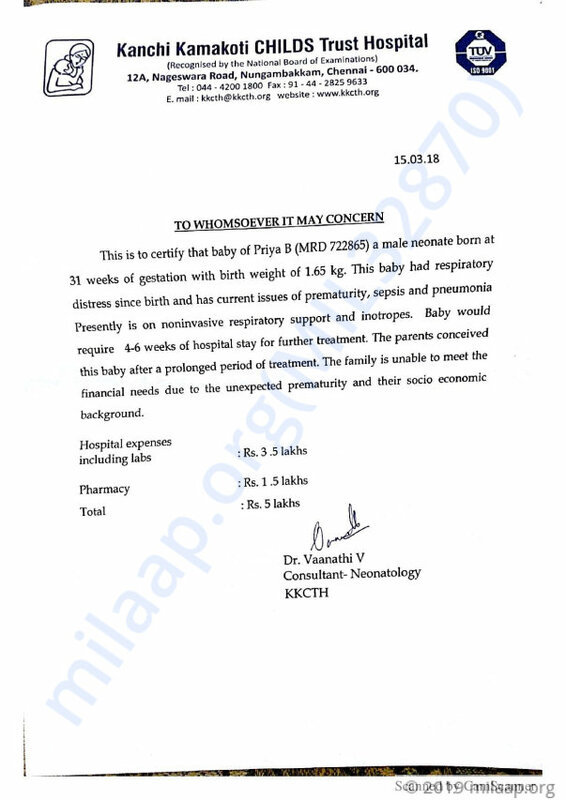 It gives me immense pleasure to inform you all that Priya's twin baby B has been discharged. Twin baby A is on CPAP and feeds. 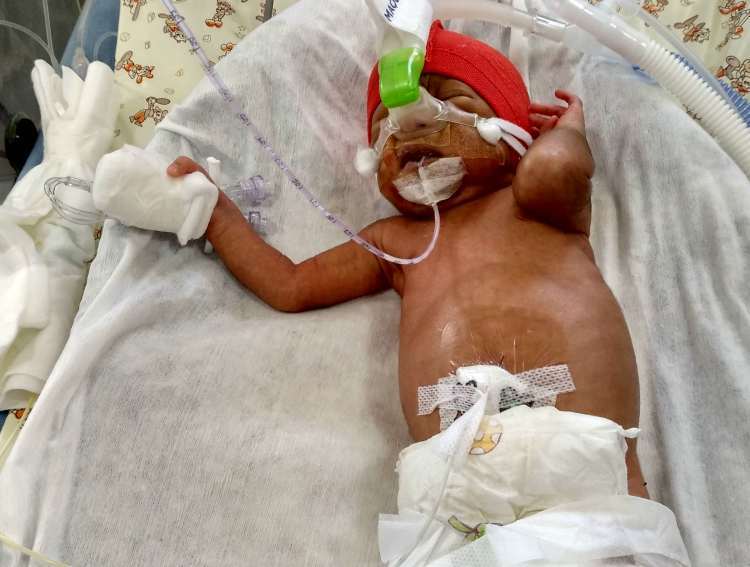 The baby would require two to three weeks of full establishment of feeds and be off respiratory support. Please keep supporting them. Will keep you posted as their health progresses. Prayers to Almighty to protect your children.